Welcome to JoeProsit.com, your source for Sci-Fi, Horror, and Psycho Fiction by Joe Prosit. This is my personal page and all written works are my own. I take great pride in bringing you the best sci-fi, horror and psycho fiction. Thank you for visiting the site and reading! 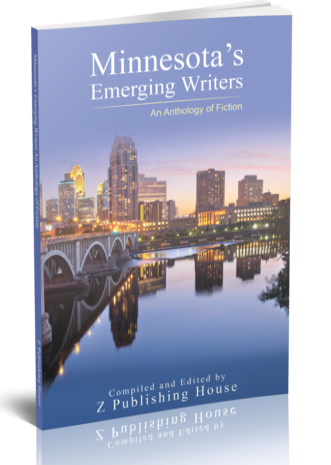 The stories below have been selected and published/posted by various editors and agencies, whether it's a series, a contest winner, or a entry in a magazine. Enjoy! 3rd Place finalist in the 2017 Channillo Short Story Contest: Versions of You. A tale of how you may have lived, and how you will definitely be discontinued. Brought to you by The No Sleep Podcast! Written by yours truly and performed by Peter Lewis, McEvoy, Nikolle Doolin, Atticus Jackson, Erika Sanderson, and Jeff Clement. Buy the annual membership and get the full episode. The Hum starts around 02:01:25. But beware! Once you hear it, The Hum might never leave your head! Better out than in, they say. But maybe somethings are better left churning and scratching and growing deep inside the stomach. Aaron would keep his vomit monsters down, if only they behave. Somewhere in America there is a small town called Dead Oaks. It looks like any other town. There's a public library, stores, a nice little motel, a quiet lake just on the edge of town. But Dead Oaks is like nowhere you've ever been before. Dead Oaks is a bi-monthly horror mystery podcast brought to you by writer and producer Christopher Waltz. 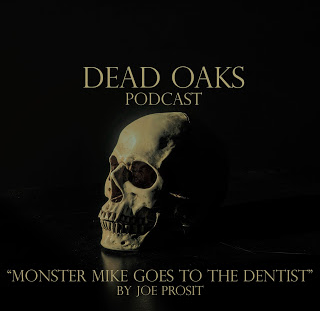 This April, Joe Prosit made his contribution to the legends of this sleeping little town with "Monster Mike Goes to the Dentist." Dive deep into the mysteries of Dead Oaks at their website or find it in your podcast app store. This story is available online and featured in the anthology "Hardboiled: Dames and Sins," both from Dead Gun Press. Read the story now and then get your copy of Dames and Sins for more awesome crime and noir fiction. 2nd Place Winner in Chanillo.com's 1st Annual Short Story contest, "New Age Digital Hero" is the story of a boy looking to become a legend in a time where heroics have been relegated to a computer screen. His big brother Mike got recruited by one of the best army's in the world to operate their drones. Surely he could catch the eye of a recruiter as well. He just had to act bold! Fugitive spacemen, intruding aliens, monsters and mutants and murdering cars. What more can you ask for? Skulls and blood and things that go bump in the night. Better make an appointment with your shrink before clicking. Joe Prosit an independent author living in Brainerd, Minnesota with his wife and family. Follow him on twitter @joeprosit for up to the minute news and updates.